Ever have cold hands? 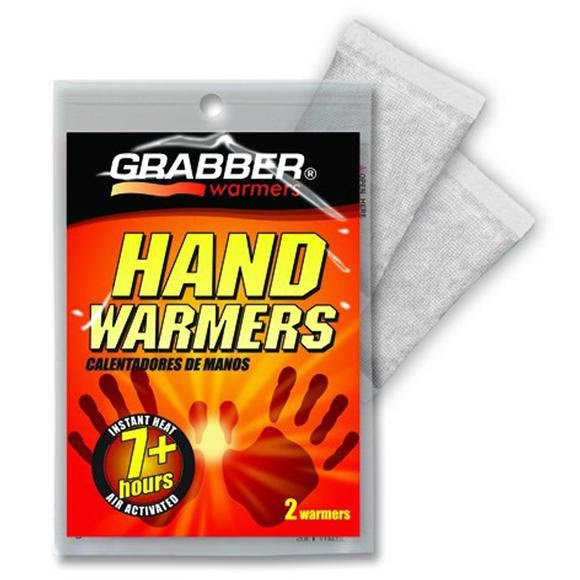 With Grabber Hand Warmers you won't have to again! Portable heat in the palm of your hand! Air activated Grabber Hand Warmers keep hands and fingers toasty for over 7 hours. No shaking or kneading required; just open the package and put the Original Warmers in your glove or pocket for a few minutes to start the process. Portable heat in the palm of your hand! Air activated Grabber Hand Warmers keep hands and fingers toasty for over 7 hours. No shaking or kneading required; just open the package and put the Original Warmers in your glove or pocket for a few minutes to start the process. Measurements Each warmer 2" x 3.5"
every product I ordered came just as I order which is "perfect". Shipped in a timely manner and arrived undamaged. I am a sold customer for Bob Ward's.